For years we had to buy European motors for top performance and workmanship! No More! Steve Neu has developed a line of Motors that can compete with the Hacker, Lehner and Plettenberg Motors of Europe! These Neu motors are unsurpassed in efficiency and torque! Since released in 2007, these motors are making and breaking many of the Fast Electric Boat records held in the World! Rm: .002 - .012 depending on winding choice. Requires: 3mm or 4mm mounting screws. 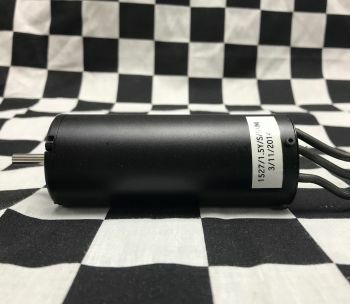 We if you don't see the motor wind listed you need with a 5mm shaft, we can special order these motors with 5mm shafts. It takes approx. 3-5 weeks to ship. Contact us for more details. Neu 1527 Hydro Mount with esc plate.